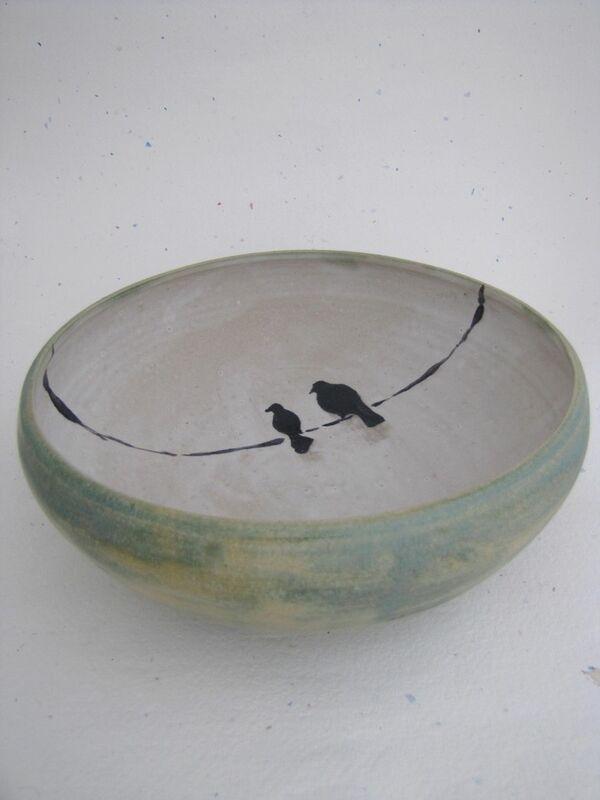 A 10 inch wide and 4 inch tall hand thrown stoneware bowl with trimmed foot and hand applied original drawing of love birds. Finished with a matte glaze on the interior and sage green on the exterior. Color options are available for the exterior if green isn't your thing.